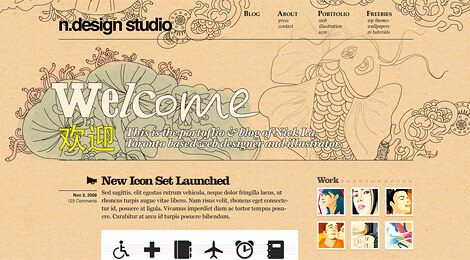 After 3 years of using the Pheonix theme on N.Design Studio, I finally redesigned it with a Koi theme. The new look has improved a lot in terms of design and WordPress implementation. Every section has a unique layout which gives you a refreshing feeling. This post will summarize everything about the new design as well as show you the process images. Also, I will talk about how other sites inspired me. The page width is 980px which is optimized for users with 1024px display, but also looks nice for users with high resolution display such as 1680px setting. The main body font size is 16 point. I purposely set it large so viewers can read the text comfortably even sitting away from the monitor. The three main fonts that I’ve chosen are: Georgia, Helvetica, and Baskerville. Georgia is used for the main body copy. The purpose of using sans-serif font (Helvetica) is to provide contrast to the body type. 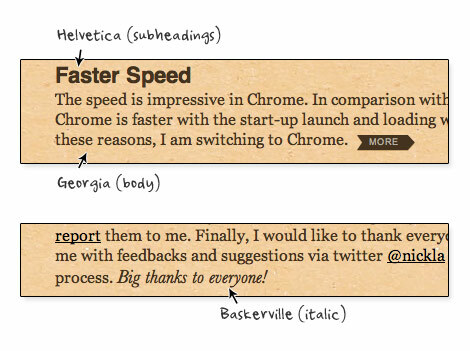 Baskerville is an elegant font, so I set it for italic text and image captions. 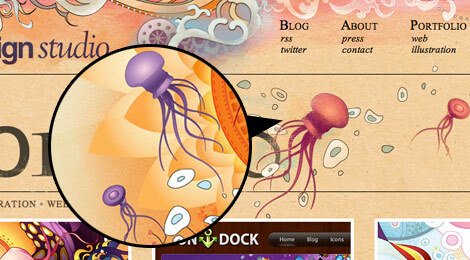 Each section features a different background image that blends nicely with the header image. Inspired by an article that I wrote, CSS: Design Out of the Box, I made the background images extend out to create the out-of-the-box effect. Notice the list items are also out of the box. The short line of introduction briefy tells everything about the site and leads to the most important pages: portfolio, blog, about, web and illustration. The Chinese characters "欢迎" mean welcome. Each post has an icon next to it. They help readers quickly identify the category of the post. The icons are from the Rocky Vector Set. The blog’s content area is designed to fit most type of content: whether it is a long or short post, with large or small images, or with videos and galleries. The menu navigation is origanized in column/lists which provides easy access. When you hover over the links, it will show a tiny icon. I made the page title super large so readers can quickly locate where they are. To make it look even more interesting, I randomly selected different fonts for each character. The title’s link also serves as breadcrumb navigation. 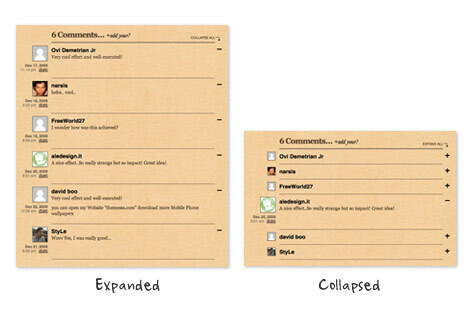 The animated collapsible/expandable comment list is done with jQuery. 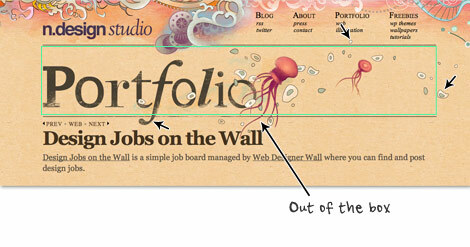 In the portfolio, I dropped the sidebar to gain maximum area for displaying large images. I didn’t set specific dimension for the image area so they can fit various sizes. In case you didn’t noticed, the main theme is based on the Koi fish illustration that I recently did and the rest are recycled from various illustrations. 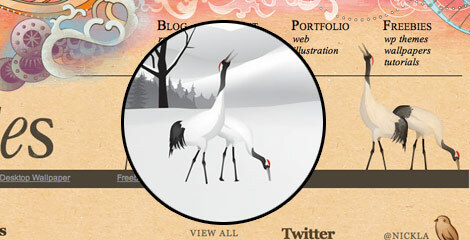 The background illustration on the blog page is taken from the Abstract Phoenix. 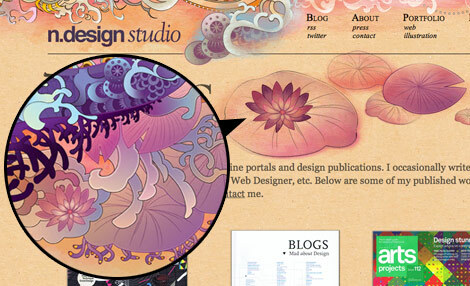 The lily pads, flying mushrooms, and jellyfishes are taken from the Koi illustration. 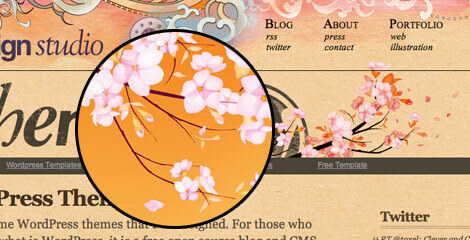 The bamboo, Japanese cranes, and cherry blossoms are taken from the old Flash version of N.Design. 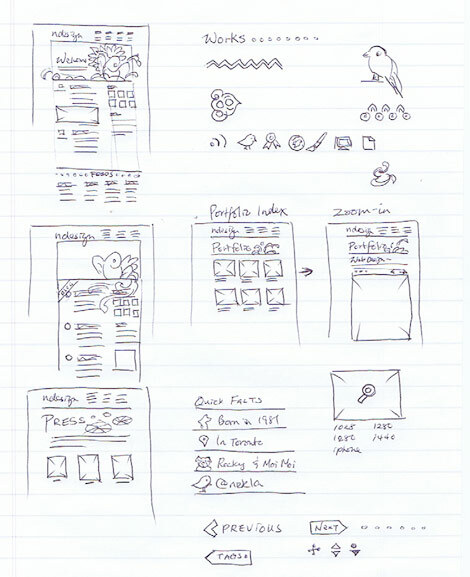 The main wireframes are done on papers. During the initial design process, I used outline vector to do test mockups. Then, I played around with the color. After I got the sizing and position right, I imported the color vector and brushed them up to match with the overall design. Another great example of out-of-the-box design. Jason’s web site is simply creative and amazing! Go to the site, and check out the posts. Note every post has a different layout and theme — very refreshing! 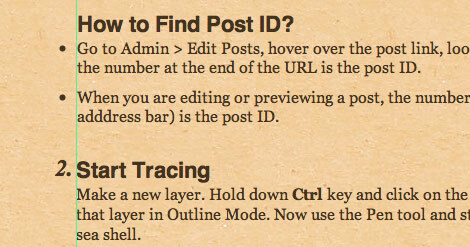 Although my site is not on a grid, but Khoi Vinh’s web site inspired me to use horizontal rules to divide content. 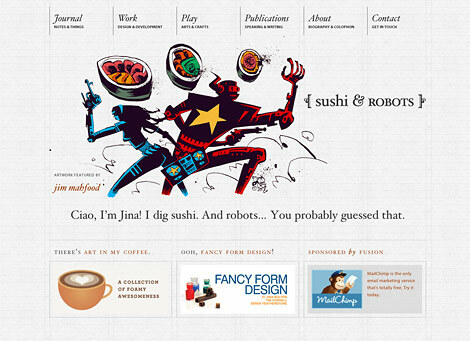 Sushi and Robots is a beautiful site by Jina Bolton. Her site motivated me to use non-web-safe font, Baskerville italic. It is such an elegant font and I believe most of my designer visitors would have the font. Read related article: The Next Serif Trend. My portfolio layout was inspired by Jesse’s portfolio where he uses large image to showcase his works in full page screenshot. No description or marketing text, the images speak for his work. I’m very happy with the final result. It totally worth the time I spent on it — from wireframe planning to PSD designing to WordPress setup. Please let me know your thoughts on the redesign. Perhaps tell me the things that you don’t like about it. Love the redesign, it looks absolutely fantastic and well thought out. I love the screenshots of the pre-coloring, shows you how much goes into it and the thought process of having to choose from so many colors. I am grad you spending the effort to write this topic. Great line up. We will be linking to this on our site. Keep up the excellent writing. I appreciate you spending the effort to create this subject. Great line up. We will be linking to this on our site. Keep up the great writing. Very inspiring work! Thumbs up! Great article, as to be expected from you Nick. I really like how you describe all the details that went into the design. And the fact that you recycle, hehe. I do that too! Beautiful work Nick, as usual. I really like this new design, one of the best site I have ever seen. The detail gone into that is very appreciated. I always love to see the methods different designers take when designing a website. Brilliant! The new design is really gorgeous, warm and inviting. It was one of the few designs to jump out at me while I scanned my RSS feeds. Although the new design is more earthy compared to the previous one, it still retains its branding strength – something I find many site redesigns lose. Great work! And thanks for providing us with a case study; it’s always nice see the progression from thought to end product. The redesign looks fantastic! Thank you for the “design process” article. They are probably my favorite things to read, I love seeing how different artists plan out their projects. I posted one of my own at my site if anyone cares to take a look. 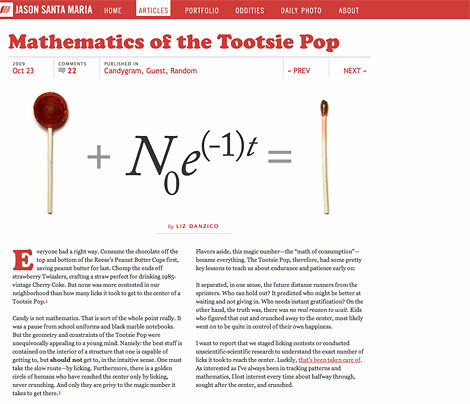 this is an essential article for budding web designers like myself. Thanks so much for sharing your process! I always enjoy reading about how designers got to their end results! Excellent redesign too, very beautiful! great very nice work Nick. Thanks for this it’s very interesting to know the working process. Very good idea to have recycled old stuff. Great article. I have enjoyed to much reading it! Your re-design is amazing. Thank you for taking the time to break down the re-design. I really appreciate when people take the time to talk about their choices and things behind it. Thank you for describing the whole process of your redesign, especially which designs you drew inspiration from. Fab job! looks like a pen*s in there, is it a fish? wow! this design process write-up is amazing and completely helpful to me as a designer. btw did you do the illustration artworks yourself also? if one is not an illustrator, what would you suggest is the go-to place to find beautiful illustrations like these? thanks again for sharing! please post more articles on your process. i love it! Great design. Did you give any special thought into the fold and how your “super large” page titles affects the over all impression of your site? It’s great to see how you approached this project and how much planning and details it required. I love the Japanese-style sea-life illustrations! It was nice to see your redesign, and know it’s even better because I know the inspirations. thoughts, and the process that resulted in that beautiful design. Thanks for sharing Nick! It’s a great redesign, I like the new theme much better than the old one. The old one was an amazing Photoshop piece but didn’t look so nice on a website. Wow, thanks for sharing your whole process! It’s always interesting to see how others work and where inspiration comes from. Really love the design! great to see your thought process on this! thanks! 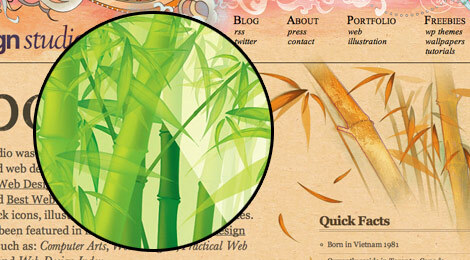 Love the way you’ve written down the process how to design this gorgeous website! Normally my personal taste is more white, clean and not to much illustrations (which BTW are professionally done, my compliments), but that’s just my opinion and nothing to do with the great way how you, in depth, have covered the design process and decisions why you’ve done so. The redesign is awesome, you keep improving and getting better and better in your designs, with even more attention to those fine details. I’m personally not a big fan of this type of navigation though, I find it uninspiring and even confusing and hard to grasp, I believe the focus should be on no more than 5 or 7 items and there may be too many options to look at. Last, I’d put the illustration of the footer at the very end and relocate the search to a more prominent position near the top. So cool! Thanks for sharing your design process. I love your new theme, it is so pretty as a traditional Chinese painting. I have seen the redesigned N.Design.It’s very beautiful and impressed me deeply.This article will be appreciated by all designers ,especially the beginners. Fantastic post…in a pict there a comment by me like examples! In any case this is a great site!!!! All graphic add this site. Great post! Really nice to see how such a carefully constructed design is inspired, processed and brought to life! A beautiful work, an awesome site and a great article! absolutely amazing design. when i first saw that you redesigned your site I was really exited and went through all of the pages, especially admiring the header and footer illustrations. this design is one of my top favorites on the web. 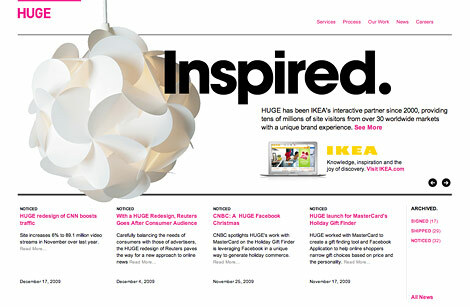 Great looking website that all designers and developers can look to as a beacon of excellence. Thank you for taking me through your thought process on the re-design. Great things to think about while designing in the future. Wow, you did a great job so far, I love this one though the Phoenix one was awesome, also. And yeah, the illustrations are just stunning! Its really exciting how detailed you went into explaining and describing the various design process. 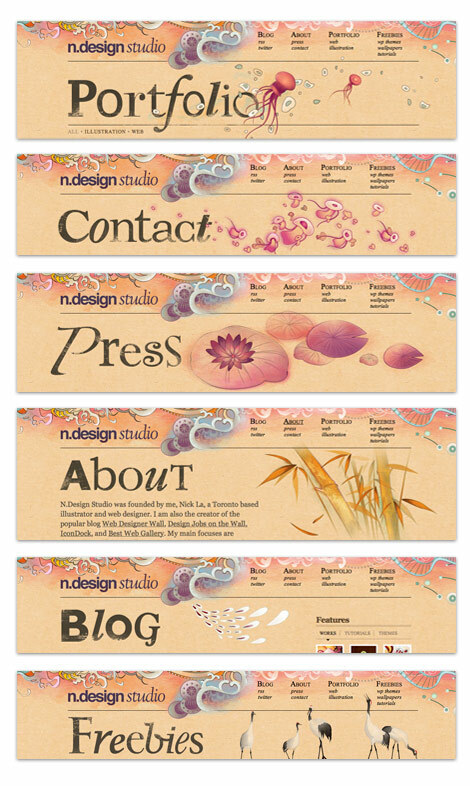 This has got me inspired to be more structured in my own design process and implementation of my web projects. Thanks a lot! This is truly an example of a great designer going through his step-by-step creative process and how much is really involved. I love how you are not afraid to share your sources of inspiration. For me, you are a true inspiration! I love how you included your inspirations with this post. Designed like a true professional with no stone left un-turned. Well done Nick! This looks absolutely fantastic. 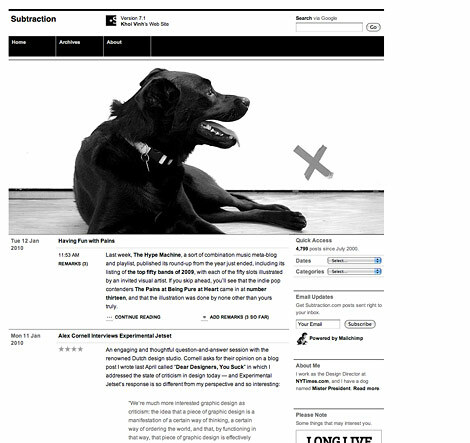 Loving the header images which change with each page, looking forward to when it goes live. 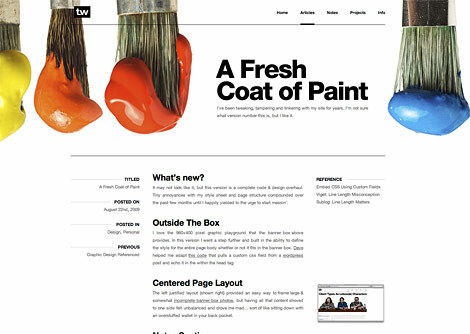 Great redesign, and I am inspired by the depth and detail of the process work that is shown. I am a dedicated follower of the Wall, and I will continue to be indefinitely. Thank you for this post, it was a great read. always nice to see a design process. thank you. Nice feeling seeing the process; eager to see the finale. You have a strong design concept on everything that you have created! Excellent Job! Works are unique! Keep it up! You have my 5 stars! Brilliant work, Chris. There’s so much depth in that overlapping linework. I really like how you share your process. I’m not much of an illustrator, but I’m learning to be less afraid of paper. GREAT redesign! May I know how you did the image loader thing? I’m very interested to find out! Is there any tutorial/resource for that? Absolutely stunnning! Great work! Thanks for sharing the experiences. 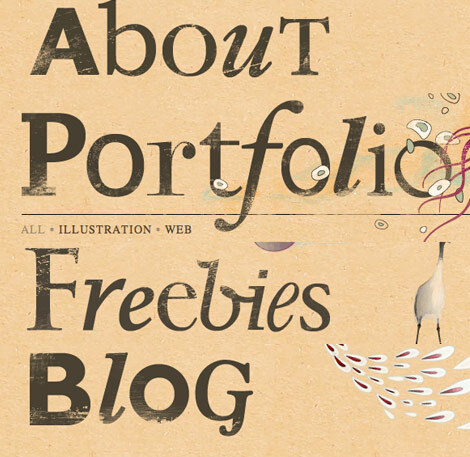 Hi – thanks for sharing your process. It’s always so helpful to see how other designers go through the steps to redesigning their site. I always find it much more difficult designing for myself than clients. Your work is truly an inspiration! 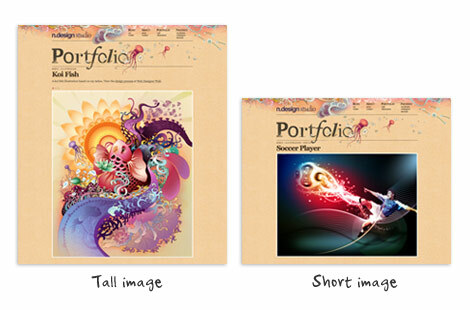 really love the new design, i knew your work and loved it before, so graphically it is on the top. as of navigation, i think the screen it’s a bit clogged, the navigation elements don’t jump on the eye, i think the overall lacks a bit of contrast. and i also think that little details like the img loader on the top of an already small slide-status is indifferent to the final result, i think that if you want to communicate something you should do that clearly, so the classic “rotating-something” in the middle of the img would have been better. Truly amazing! It’s great to see step-by-step redesigning and how much work and inspiration it takes to get to such a result. Some people aren’t aware of that. Keep up the great work! Excellent design and excellent tips! Love the redesign and the fact that you have your process here as well. Great article. Thanks for sharing your process and inspiration! I stumbled across your web site while looking for articles about web design. It is simply my favourite website design. I love the thought process and really appreciate it as the audience. Hello. i search any body for design. i will a own design for my forum with a banner with the name jongict. but i dont know how i can make this. can any body help me? I love the re-design. It was also very interesting to see your process! Brillant and very instructive proccess. Whoa… After seeing all the sketches and hand-drawn details that went into the redesign, I’m very impressed with the end result. I have also created some hand-drawn designs for client websites in the past, so I understand how difficult it can be to pull off effectively. Nicely done! the design process is great. the details and specifications are perfect. love it. great inspiration. Thanks, is amazing work, this people work hard ! I like the flexibility of the blog and there’s a lot of nice functionality with subtle additions like the loading indicators. Recycling art is important for both keeping your brand consistent and providing time to finish the rest of the design. This is quite beautiful. Love the details. Thanks for sharing! design contests for cash pizes!!! will you write about you turned it on in wp? Man, that was planned to a T and quite thorough. I usually just improvise my designs. Nice site! Is it based on the exposure theme? I just starting redesigning my portfolio and it looks very much like your site. With portfolio, about me and a blog. I will show you when I´m done. It’s a beautiful redesign, been following the blog for many years and it’s awesome to see the change! Really like it, top work Nick. Gave it 5 stars…loved the rationale behind the creative. This is so beautiful. So inspiring. I love the colors, graphics all of it. If only I were so talented. Your work always makes me smile and wish for more. Thank you for making the web a more colorful and enjoyable place, for taking the boring out of blogs. Thanks for the very informative sharing of your creative process. I especially like the “out-of-the-box” idea. That gives me some insight as well. I really hate the guy who keeps spamming about the web hosting. I liked more the old design, i like this one but the other was better in my opinion. Wonderful insight into your design process, this walk-through alone has taught me a lot, I’m glad you shared it! Nice! Thank you for documenting the creative process. Especially your inspiration. Your pushing the envelope and that is good. awesome design. Full of art. totally inspired by your work…i am building my site with Freeway…quite a clever program. Do you know it? Nice design. Especially like the unique large font used in the page tiles… definitely stands out from the crowd! Hi! I´m your new fan from Brasil! Your work is fantastic! Congratulations!!! 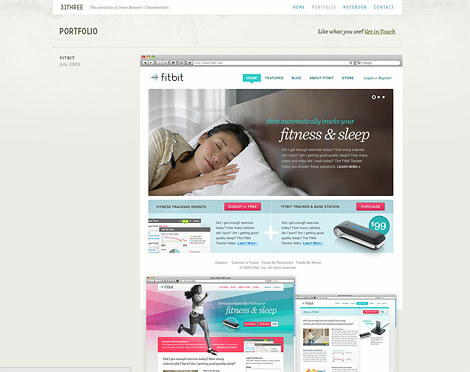 I´m new in WordPress and your website inspiring me to create my firts WP site concept in “out of the box”. Really nice redesign i like the attention to detail to all the separate pages. The different images for different headers and backgrounds keep the users interested in the site, as every page looks different. Also the water coloured images and soft colours complement each other really well. Hi just wanted to say great site also i was wondering how you got the chalk effect on your design? I really like the new refreshing design of the website right from the font type to the images. 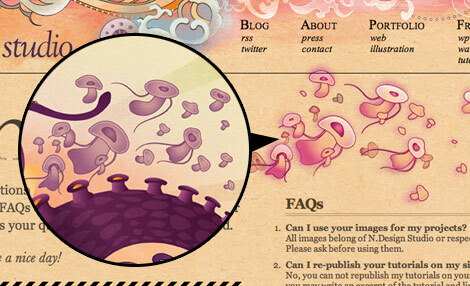 The process of images shown here is really outstanding. I find background images very creative. Moncler Vests ,the classic model of Cheap Moncler Coats.Quilted Down Filled Zip Jacket with contrast zippers, buttons and cuffs. Slash button pockets at waist. Moncler Jackets Ribbed sleeve cuffs and waistband. Moncler Sweater Tone on tone stitching throughout the shell. Zip pouch with signature logo felt patch at left sleeve. The shell is made out of 100% polyamid. Moncler Shoes for Women The fill consists of 100% Goose Down. Cheap Moncler Coats, a stylish and luxury French brand is the renowned high-end outerwear brand which created a quilted jacket trend in the fashion world. Since originating in 1952, Moncler never stops to show its high quality in the purest way. For Moncler Jackets, it requires 220 grams feathers each jacket. And for womens jackets, it requires 160 grams per one. Moncler is making the feathers one of the principle components of the garments. Besides for feathers, the material of the surface is also an important part which shows Moncler’s profession and striving to consider more for customers. Waterproof nylon surface makes consumers avoid of being wet when going out or playing in the snowing days. Gradually, Moncler develops the manufacturing of Moncler Coats, Moncler Vests, Moncler Sweater, Moncler Bags , Moncler Shoes for Women, Moncler Boots. All of the new products continue its purest design and also add some fashion elements, which makes Moncler more fashionable on basis of comfort. If it has a Moncler tag, it will keep you warm on top of the highest mountain and be trendy on any city street.